Napoleon’s Ascent™X 36 enhances ambiance in any room with the most industry realistic, exclusive PHAZER® log set and glowing ember bed. 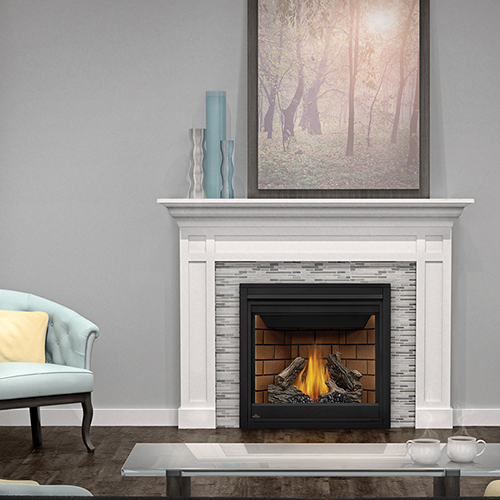 The clean face design of the Ascent™X 36 maximizes optimal viewing to ensure your new fireplace is enjoyed to the fullest. An approved safety barrier comes standard on the Ascent™X 36, meeting tomorrow’s safety standards today.